Superior quality, light weight case with amazing strength in a very light package. 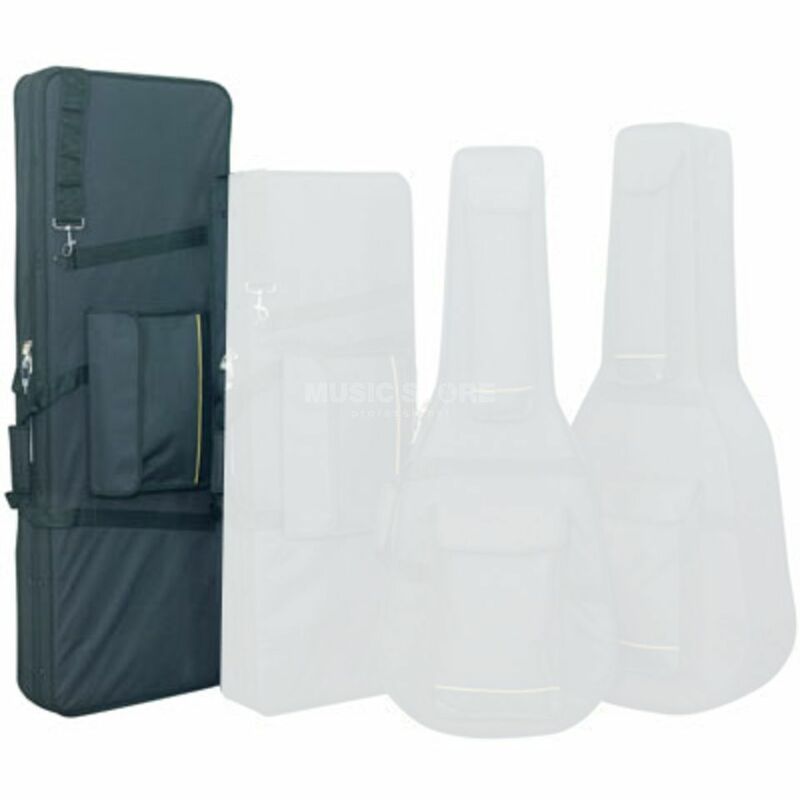 Thanks to a complex core construction technique these cases protect the most prized guitar in style. Manufactured using the highest quality material's and fittings. Features: 5mm foam padding Thermal polysterene core to protect from extreme climate change High Impact Hardboard Outer 5mm foam padding Strong Water resistant ROK TEX Material Very lightweight- approx 2.5 Kg 8mm wide zipper PVC bottom with metal feet Embossed with Rockcase Logo Black Velvet Interior · A4 size exterior pocket with Velcro closing lid 2 interior compartments with closing lid (Except models RC20808, RC20809, RC20814) RC20804B has wedge to support Les Paul pitched headstock 1 padded carry handle with Velcro over-cross Name card compartment with transparent cover on side of bag 1 removable shoulder strap with shoulder strap with PVC protector Metal Snap Links and Hook Rings !!! 3 years Music Store warranty !! !